After attending Glyn’s workshop and seeing various examples of strip softboxes being used I decide that I MUST have a set. 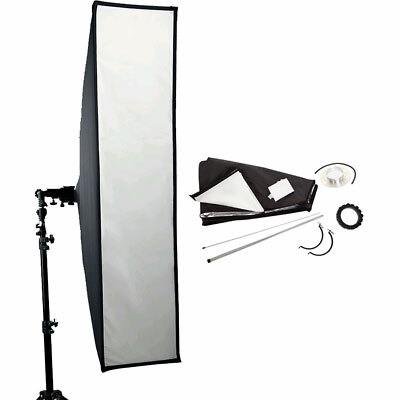 As all my studio lights are Bowens so I first looked at their offerings. 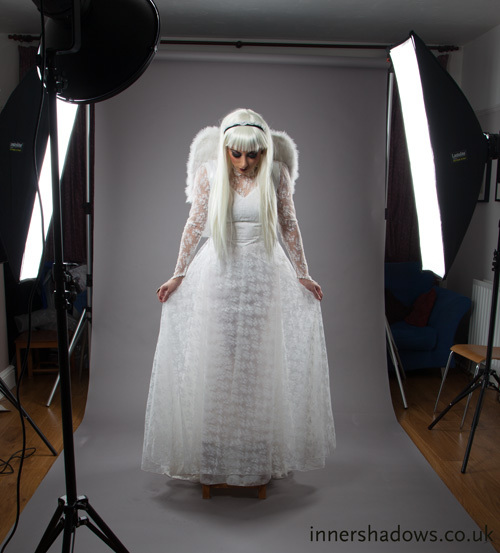 The Bowens Lumiair Strip 140 looks great, but at £230 each they were out of my price range especially as I wanted two. 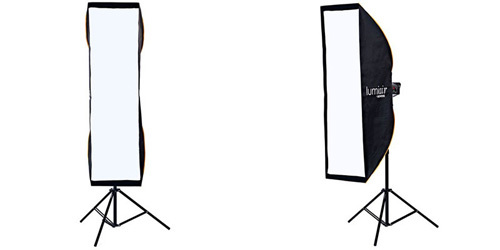 The next option was the Lastolite Hotrod Strip Softbox with a Bowens ‘S’ type adapter. At around £130 each with the adapter I decide to purchase them. I especially liked how they came in small bag as I don’t have a lot of space to store equipment. I’ve now been using them for a couple of months and overall I am pleased with them. Once you get used to bending the bars they can be assembled quickly. The light seems soft and even from them, however I am only using them for edge lighting to separate the model from the background for my composite work. The only thing I don’t like is the ‘S’ type adapter which is a couple of millimeters too big for the softboxes which meant I had to find longer screws to fit the two items together and the adapter is also a couple of millimeters too big to lock into place on my Bowens studio lights. None of this is a Lastolite issue as the ‘S’ type adapter came from another company. Just been emailed by the supplier about the Hotrods – They were not designed to be fitted to Bowens or any other studio lights. Doing so could result in a fire hazard as the fabric and plastic components are too close to the flash head. I would recommend that you do not continue to use them in the setup you have at the moment. We do specify they are for battery powered flashguns both in the brochure and on the website.